We build boats that you will want to paddle frequently. You won’t need your paddling partner’s help when you load your boat after work. 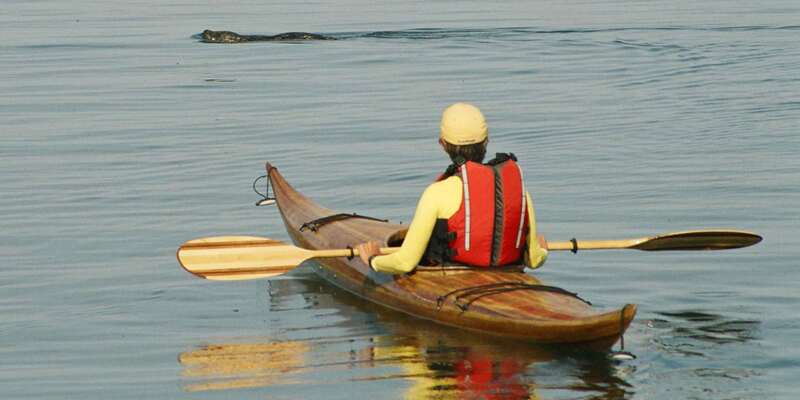 With a Blue Otter Kayak it’s easy to make that escape. Our distinctive boats are made from high performance designs to match your needs, whether exploring anchorages or estuaries, day touring, or surfing waves. Our kayaks are designed by Nick Schade of Guillemot Kayaks. Nick’s ‘Greenland’ influenced designs have been proven by paddlers around the world for more than 20 years. We have selected designs that suit intermediate and advanced paddlers and shorter novice friendly designs that may be accommodated aboard yachts. "I worked in the kayak industry year round and demoed hundreds of different boats. The Blue Otter Kayaks built Night Heron is one of the nicest boats I have paddled. The design is superb for everyday paddling and craftsmanship is excellent. Even though it is only 20 inches wide it has better stability than many 23 inch boats. It takes very little effort to paddle, and is easy to turn." Rowan - Deep Cove.